Six million Americans are classified as long-term unemployed, with the average person who has lost a job not finding a new one for 33 weeks. The effects of not having a job, and in many cases no income, are more destructive than not just being able to pay the bills. "Something big had been taken away from me," said Bill Siegel, who was living the American dream with his family when he unexpectedly lost his job in 2008. Weeks turned into months and months into years. "I didn't think this was going to be a long extended period without find a job." He and his family were not be able to keep up with the ongoing bills. He lost his home. Then, he and his wife divorced. "I can't blame it all on the fact that I lost my job, but it was a very big 'last straw,'" he said. In the latest Pew Center Research survey, close to half of those unemployed six months or more say joblessness has strained family relationships. Nearly 40 percent of the long term unemployed say they have lost some self-respect while they have been out of work." "It got more difficult as time went on," Siegel said. It has been three years since Siegel lost his job. 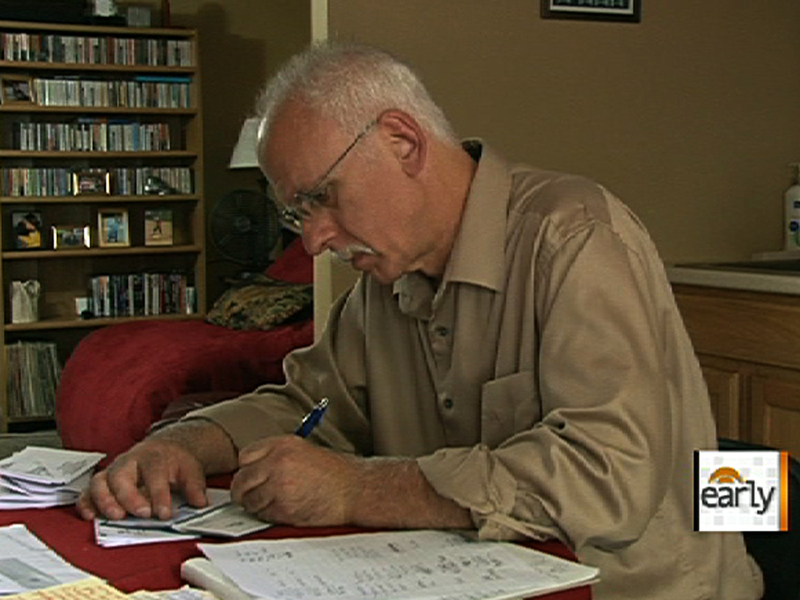 He is one of the 2 million Americans whose job search outlasted his unemployment benefits. He currently lives alone in a small apartment struggling to make ends meet. "I just want to be in a position where I'm not defining myself as someone who is looking for work and trying to pay the bills," he said. Dr. Robert Leahy, director of the American Institute for Cognitive Therapy, is seeing the incredible impact of long-term unemployment and how it affects every aspect of the individual's life. "People who are unemployed for a longer period of time do have a rougher time," Dr. Leahy said. "They feel more hopeless, they feel more helpless, and realistically they may have a harder time getting back into the work force where they were before." Psychologist and "Early Show" contributor Dr. Jennifer Hartstein said the health effects of stress are evident among the long-term unemployed, beyond the impacts on his marriage. "We also know that friendships can really be impacted because we don't want to necessarily be with other people who are employed when we are feeling such shame and embarrassment," Dr. Hartstein said. "Depression rates have been found to have gone up at least three percent over the last five to 10 years, which is pretty significant." On the physical risks, Dr. Hartstein said, "Stress we know increases cholesterol," Hartstein said. "Cardiovascular conditions are getting worse because the stress takes a toll on our heart. Substance use and abuse is showing an increase. And mortality rate is going up. A study in Finland found there was a 2.5 increased mortality rate amongst those that are unemployed than those who are working." She said the challenge for the jobless is to be proactive during their period of unemployment.
" It's very easy to get so stuck in your hopelessness that you quit and you give up," she said. "It's so important to really be proactive, try and make finding a job your job. "But just as with your regular job, you don't want to be so all-consuming. Even though you may not have money, you can still go to the park with your family. You can still find opportunities to do those fun things that are going to build in some meaning into your life and be proactive and network and all of those important things we talk about all the time."